Years past rearing up for a big, fresh back-to-school-shopping haul, I’m still habitually attached to cleaning out my closet in the summertime, opposed to Spring like a normal grownup. I generally do mini-cleaning sessions throughout the year, but summer is always the big one. Shorts I categorize in the same ballpark of painful as swimsuit shopping –they’re hard. I just graduated to a little longer inseam (a mile in short-speak) that a former, younger Robin would have likely labeled “mom shorts.” After deciding I didn’t look too much like a camp counselor from The Parent Trap, they just seemed right at the ripe age of 23. Plus with limbs that better resemble stilts than legs, they didn’t make that big of a difference, but felt better -and that’s all I needed. Then just like that, out with the short-shorts and I was given a whole drawer of my dresser back. Create incentive. I had my eye on a piece of jewelry, but couldn’t justify the splurge. I decided if I could make enough bonus cash clearing out the old, I could use the money on the new. So, I did. Do you need to do laundry? Like, do you really really need to do laundry? If it’s been *one of those weeks* (months) and your hamper runneth over -carpe diem! 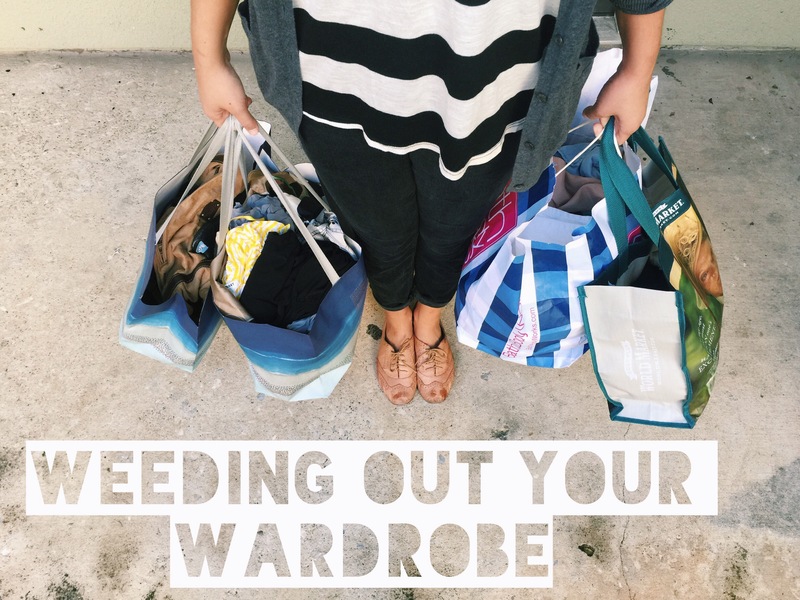 With a closet full of nothing-to-wear staring back at you and all of your regulars joy riding through the spin cycle, use this opportunity (unique I’m sure it is -yeah me too) to clear a little space. It’s prime time to see what you are or aren’t wearing this season (now I’m talking sun or snow) at a super quick glace. Depending on your personal laundry mountain, it helps cut clean-out time considerably without having to flip through your obvious favorites at the same time. I’ve done this one for years, mostly to do periodical spot checks of my closet opposed to one massive sweep. 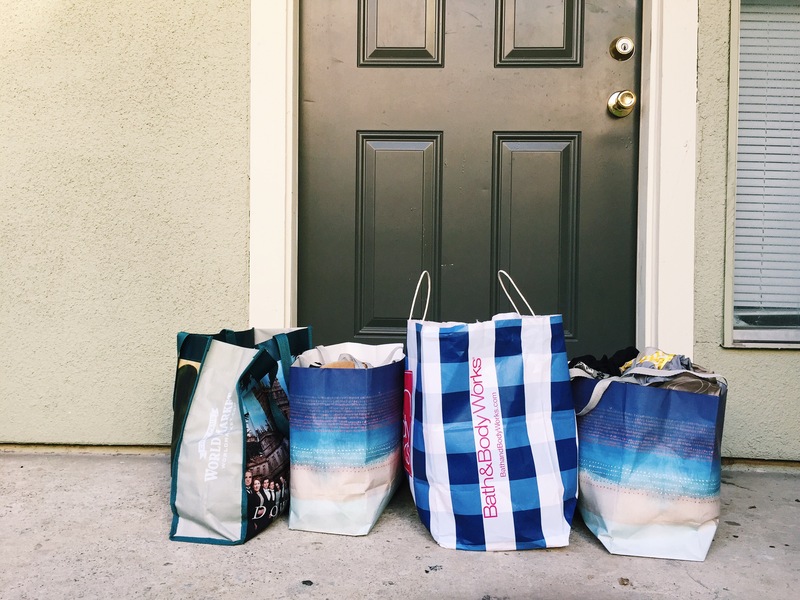 If it’s an honest-to-goodness everything won’t fit in the closet but nothing is expendable needing to downsize sort of crisis, consult this list maybe while practicing the tips I preached. And best of luck to ya, sister. I remember those feels pre-married life. Comment below or with the little talking bubble near the title if your madness has a different method, or you plan on adopting any of mine! This was li-ter-al-ly on my to do list for today. 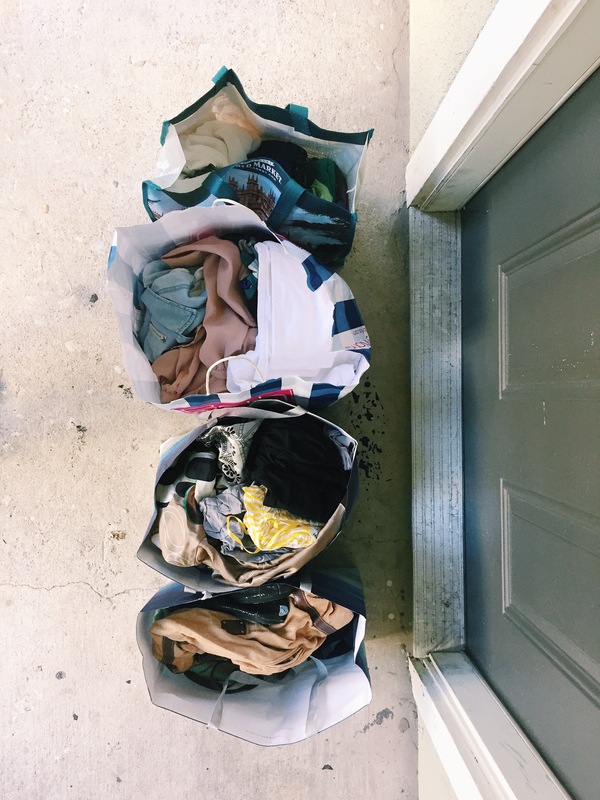 Love the post and LOVE the idea of purging during laundry week! 😊👏 And I’m off!